Fall season has arrived here at Pathfinder Ranch and many new exciting staff, programs, and animals have sailed in with the crisp Autumn air. 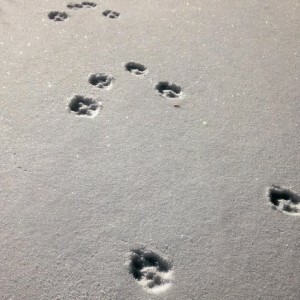 With Summer behind us our new Naturalists are channeling their inner Dusky Wood Rat and scurrying to perfect lesson plans as we welcome our first students of the season. This new school year has also allowed us to revamp old power point presentations as well as begin a new evening program. We have added Catapults to our evening programming that explores students’ creative side. Students will construct and test their own method of catapulting using just a few materials and basic physics concepts. The students will launch little piggy’s to test their catapulting devices (no animals are harmed in this activity). Another program we have added to our rainy day activities that we are extremely excited about is Weather! What better time to explore weather patterns then during a rain day? The students will conduct and test different experiments to help better understand how weather works. Pathfinder Ranch has been lucky enough to add two exquisite animal friends to our mammal family. 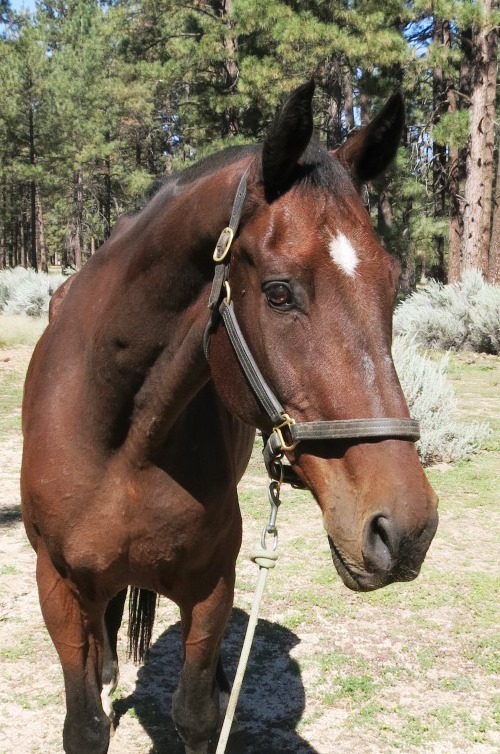 Barkley, who is a Hanoverian Thoroughbred, is our newest member of the Equine family. Barkley is the only Warmblood horse in the herd who formerly competed in dressage and jumping! Barkley, the newest member of our herd. Terwilliger is our newest member to the wonderful nature center. 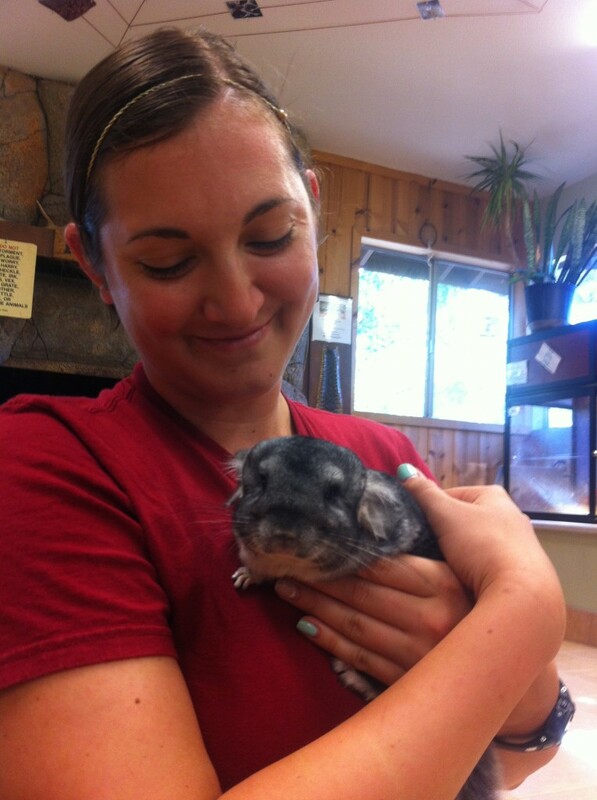 Terwilliger is a very cute, rambunctious, and furry Chinchilla. Speaking of furry, Terwilliger has 60 hairs per follicle! Chinchillas hail from the Andes Mountains in South America. We will be celebrating her first birthday in October!! Coral chillin’ with our chinchilla. There is much to be excited about here at Pathfinder Ranch from our excited new Naturalists to the changing of seasons to the new and revamped programming. We are looking forward to all the schools attending our program this fall! As yet another season comes to an end here at Pathfinder Ranch we take a moment to reflect back on this fall’s accomplishments. By the end of this week we will have seen almost 2,400 students. We started the season with sunshine and some thunderstorms, and will be ending with rain and cold. Through it all staff and students alike have kept positive and enthusiastic attitudes. We were lucky enough to make it through this busy fall with minimal illness for Ranch residents including our horses, farm and nature center animals. Unfortunately, some of our free range chickens were taken away by local coyotes, but we’re hopeful for new Silkie chicks in the next few weeks! Hopefully our January and February schools will get a chance to see newly hatched chicks! One of our most exciting additions to the Ranch is the High Tunnel. 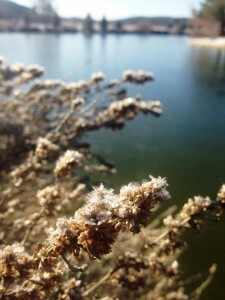 It is currently home to many seeds and starter plants that will weather the winter inside, and give us a head start on next spring’s garden plans. It has also proven an excellent shelter from the much needed rain showers over the past few weeks. Overall this season has been full of improvements, growth and excitement. Here’s looking forward to an equally amazing spring! 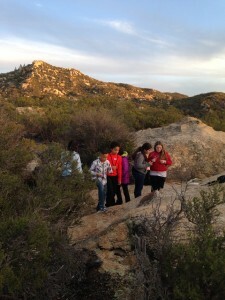 Students enjoying a geology class in the National Forest.